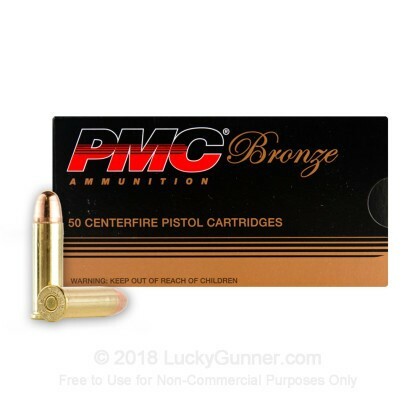 Newly manufactured by PMC, this ammunition is great for target practice and range training. It is both precision manufactured and economical serving as a great alternative to the steel cased products or the higher priced defensive products that are available. 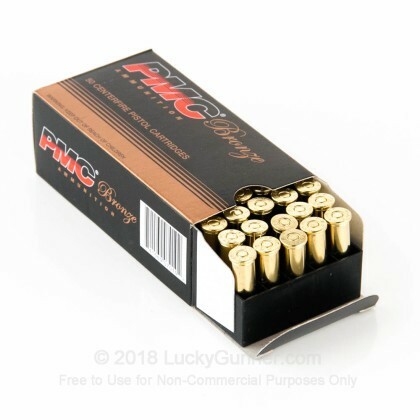 PMC has been my primary ammo when I can get it for all of my guns for the last 5 years. No matter the caliber, it always is an excellent performer. 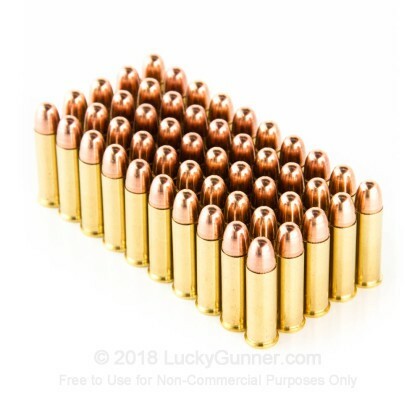 I have run over 500 rounds of this .38 Spl through 3 different revolvers with excellent results prior to this order and these are matching the previous results. Will definitely purchase more. LG's customer service and real time inventory is second to none, and shipping is quick. What more can one ask for? No issues in a S&W 686. Similar recoil to the 22" in this gun. Accurate. Xcellent "Bang For The Buck" !*!*! Ammo looked good, functioned well. It was during my concealed carry class that I was able to shoot some ammo. I am going to try and go to the range on monday to shoot more. But it was really good ammo. Was looking for some test rounds for a new pistol, these fit the bill. Lucky Gunner gets a lot of my business, great service , ships quick, never been disappointed. Good site. Easy to purchase and work with. 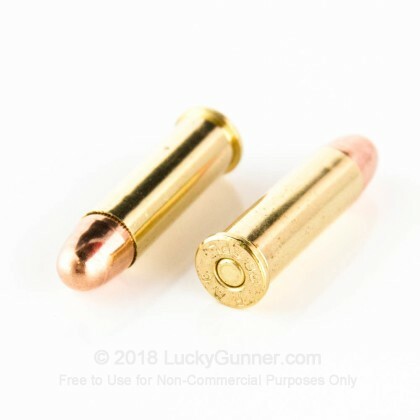 Trouble finding ammo locally. I like the fact that they show what they have here now - no back-orders! Also liked the fact that I bought this ammo for my daughters concealed carry class and had it delivered to a different address than mine. LuckyGunner called me to verify the order since it was a different delivery address - nice purchase security check! I'll order my next .40 SW and 9mm here! Came on time. Packaged properly. Quality product. I'll be a repeat customer for a long time. These rounds can be depended on to deliver satisfaction every time. It would help if they were less expensive, but times are different now. Lucky Gunner service is beyond fantastic. The on-line stocking information, lack of back orders, immediate shipping, and tracking numbers for the shipment make this service better than anyone else in the business. I really do appreciate doing business with you and have been for a number of years now and will continue. You really do provide a badly needed service. Thank you. We are having great diffuculty finding .38 special ammo at our local stores so had to go online. LuckyGunner had lots and at a good price. Will order again!! Thanks! 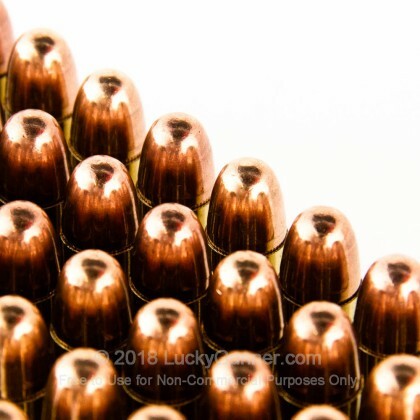 Quality ammo at a good price. Shooting the 38 was a pleasure with this ammo. I would repeat this purchase with the opportunity. I like the professionalism of the folks at Lucky Gunner. A: Hello Ed, Yes we do! All we would need is a copy of your FID card in order to ship ammo to NJ. 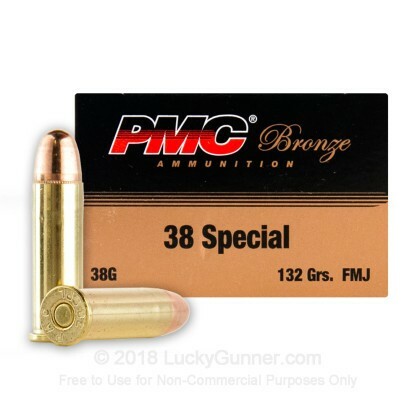 We also have this 38 Special - 132 Grain FMJ - PMC - 1000 Rounds ammo in stock in a bigger quantity.